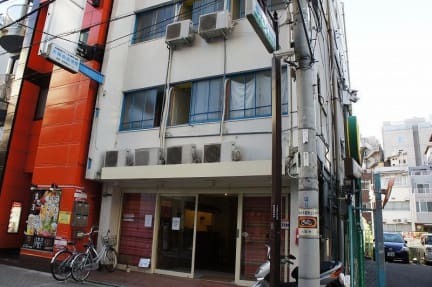 HostelQ is located in the heart of Namba, Osaka. It boasts a close proximity to major sightseeing areas in Osaka, as well as being conveniently located within walking distance of public transport facilities. The location is perfect: close to Namba station and in the middle of the busy centre. For backpackers i would reccomend this hostel but we were with a 2yo. We stayed in a room next to the hostel. Japanese style on the floor with a little bathroom. At night it is very noisy and the lights go straight through the curtains. 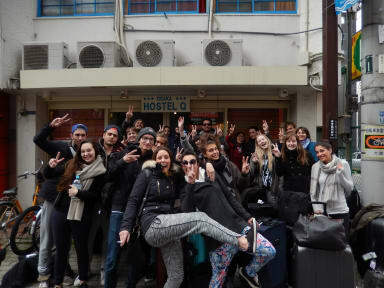 After one night we switched to a hotel with own bathroom for the same price and a 10 min walk from namba.